It seems like every year when the NBA Draft comes around, someone will claim it has one of the best draft classes in recent history. 2017's class, for example, was one of those. 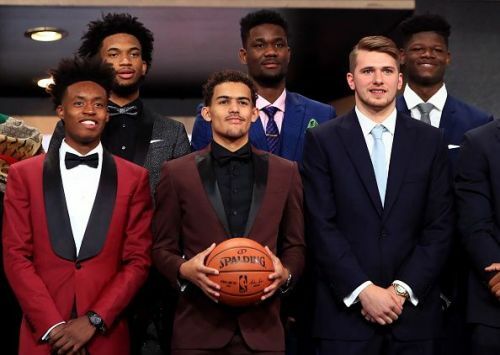 The consensus top two picks, Markelle Fultz and Lonzo Ball, didn’t have the rookie season they expected to have, and even though it did produce players like Donovan Mitchell and Jayson Tatum, they both lost Rookie of the Year race to Ben Simmons, who was drafted a year earlier. So why should this draft class be any different? For starters, it features players with impressive physical and professional feats. Luka Dončić, MVP of the second-best basketball league on earth, Mo Bamba and his ridiculous 7-10 (239 cm) wingspan, one of the biggest in NBA history, Trae Young's unlimited shooting range, DeAndre Ayton's raw size and athleticism and more. Additionally, players like Miles Bridges and Robert Williams, who were considered top lottery picks in 2017, fell short of their earlier predictions against these guys. Michael Porter Jr. was the best player in his high school class but fell to just 14th. Even a guy like Trevon Duval, who recorded impressive stats at the Draft Combine, went undrafted. 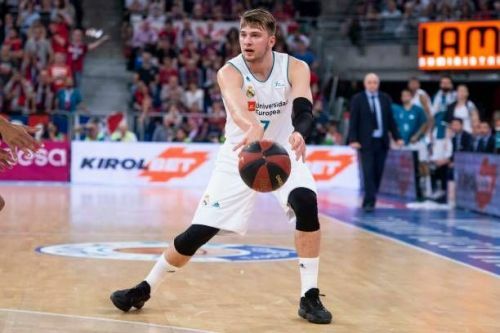 In all of his years as a pro, Luka Dončić faced pressure that players his age don’t usually face. He made his professional debut just two months after his 16th birthday, next to former NBA players like Rudy Fernandez, Sergio Rodriguez and Gustavo Ayon. Through the next two years, he became a teen sensation and a legitimate rotation player for Real Madrid, one of the biggest clubs in Europe. In the summer of 2017, alongside NBA player and national teammate, Goran Dragic, he led Slovenia to win the Eurobasket, with him making the All-Tournament Team. Following that achievement, he led Real Madrid to win the Euroleague and the Liga ACB, despite missing their starting point guard, Sergio Llull, for most of the season. Luka won almost every award possible, including EuroLeague MVP, EuroLeague Final Four MVP and Liga ACB MVP. None of the 2018 rookies sees Dončić as their Rookie of the Year favorite, but he is used to beating the odds anyways.